Etisalat, the leading telecom operator in the UAE, today announced new shared fixed data packages for Enterprise and SMB customers from the M2M Control Center launched earlier this year. The new fixed shared data packages, in addition to available per SIM flexible data packages, enhance the firm’s Machine-to-Machine (M2M) offerings for enterprises planning M2M deployments. The different types of packages will facilitate M2M deployments in automotive, health, metering, energy and smart city sectors, the telecom firm said. Etisalat’s enterprise and SME customers can now choose a package most suitable for their data needs. This will provide them full control over costs and data usage on their SIMs even as they enjoy real-time visibility into activities of their connected devices across UAE, it said. The fixed package allows 1GB to 2000GB data usage which can be shared by any number of SIMs. It is optimum for big projects where expansion is on long-term basis and where all SIMs under the plan use a fixed amount of data. Earlier this year, Etisalat launched the UAE’s first M2M flexible shared data pool packages which offer data allowance ranging from 10MB to 100MB per SIM. They are best suited for small to medium M2M deployments, where minimum amount of data is used per SIM. Under the package, additional SIMs can be added as required when the number of users increases. As a flexible and commercially viable option, this package enables smaller enterprises to keep costs in control. Etisalat’s M2M Control Center, launched in July this year, allows enterprise customers to launch, manage and rapidly scale connected M2M device businesses or M2M deployments. It allows for maximum automation of M2M services, giving enterprises on-demand self-management functionality over their network of connected devices. 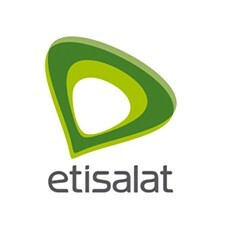 With a unique, real-time view of how their devices are connected using the Etisalat mobile network, enterprises can analyse and control how M2M devices work in the field and respond immediately to market conditions and customers’ needs, it said.